Could London's air pollution increase the risk of psychosis? It may come as no surprise that people who live in densely populated areas such as London already have a higher chance of having a psychotic experience. Although one specific factor can’t be pinpointed as the cause in young people, such things such as smoking, drinking alcohol and using drugs are thought to increase the chances of psychosis. There are also other environmental factors to take into account such as living in a deprived area, family income, exposure to crime and perhaps even noise pollution. Aside from all the factors listed above, this particular study focused on the link between air pollution and the mental wellbeing of youngsters. It consisted of 2232 children born in England and Wales who were asked a series of questions when they’d reached 18 years of age including ‘do you hear voices that others cannot?’ and ‘have you ever thought you were being watched, followed or spied on?’ Their home addresses plus a couple of additional areas where they said they’d spent a lot of time at the age of 17 were used to predict their exposure to air pollution over the course of one year. The results seem pretty clear; young people that are exposed to higher levels of nitrogen dioxide (NO2), nitrogen oxides (NOx) and very small particulate matter (PM2.5) are much more likely to have a psychotic experience than those in less polluted environments such as a rural location. In fact, the combination of NO2 and NOx explained 60% of the association between living in a high pollution area and psychosis amongst adolescents. The lead author of the study, Dr. Joanne Newbury Ph.D. of King’s College London, suggested that psychotic experiences were indeed higher in built-up areas and as such, could be a contributing factor in the link between living in a city and having a psychotic episode. 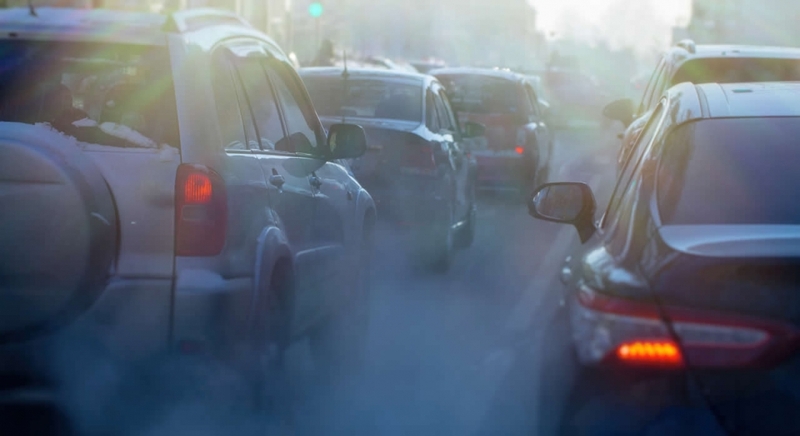 Whilst this study isn’t specifically connected to London, it goes without saying that our Capital City unavoidably has huge amounts of traffic passing through it every day – Cars, diesel-fuelled lorries, buses and taxis emitting polluting fuels are a part of everyday life for us Londoners. Add to that the sheer number of homes, shops, and offices all chugging out pollution in one form or another means that for the time being at least, there’s no escaping it. The problem is that, as the world’s population continues to rise, more and more of us are moving towards city centres and it’s estimated that by 2050, an astonishing 70% of the world’s population could well be living in an urban environment. If that turns out to be the case, it’s vital that we have a better understanding of how pollution may be linked to mental health problems in order to tackle the issue in the future, particularly as psychotic experiences are far more common in the young than in adults. Not only that, pollution isn’t just an issue for adolescents, it’s already suspected that air pollution could be linked to other problems in the brain including poor health, dementia, lower intelligence, and depression. It’s certainly food-for-thought for the future – Assuming our brains haven’t turned to mush by then!